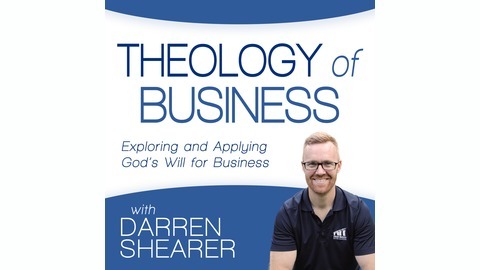 Theology of Business helps marketplace Christians to partner with God in business to transform the marketplace and make an impact in eternity. If you want to learn more about how to do business for the glory of God, this show is for you. 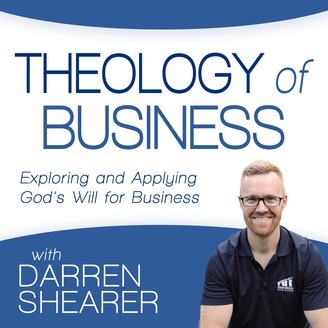 This is a podcast by Christian business leaders for Christian business leaders. | Entrepreneurship | Marketing | Nonprofit | Church | Author | Startups | Marketplace | Ministry | Business as Mission | Faith and Work | Faith | Success | Leadership | www.TheologyofBusiness.com. Mark Whitacre is Chief Operating Officer (COO) of CBMC, an organization that has impacted his life greatly the past two decades. It’s one of the most prominent, pioneering organizations in the faith at work movement over the past century. Since December of 2006, he has been the Chief Operating Officer (COO) and Chief Science Officer at Cypress Systems, Inc.
His undercover work with the FBI during the ADM price-fixing scandal was the inspiration for the major motion picture, "The Informant," starring Matt Damon as Mark Whitacre. Drawing from his unique history, Mark provides one-of-a-kind insight into corporate ethics, corporate greed, and the warning signs of a flawed corporate leadership.